Experience the Greek natural beauty throughout the Aegean Sea. 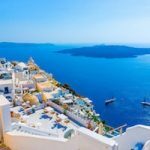 Experience the Greek natural beauty throughout the Aegean Sea. Our charter bases are expanded in a way that you can sail to various directions and explore Greek islands. If you are eager to experience safe sailing, Blue Sails is the right partner for you. Our top quality yachts are being preserved and serviced frequently by professionals, ensuring compliance with occupational health and safety regulations. Experience the greek natural beauty throughout the Aegean Sea.Our charter bases are expanded in a way that you can sail to various directions and explore greek islands. Booking is instant and right at the tip of your fingers. Whether you are on the road or too busy to deal with emails and phone calls, you are always a click away from adventure. Check out our openings, select your preferred boat, destination and dates and we will handle the rest. Blue Sails was established back in 2012 in order to revive the family tradition we had with the Aegean Sea. 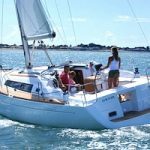 We provide Bareboat or Skipper Charters. Our first priority is to build resilient personal relationships with our colleagues and guests, gain and retain trust from offering high quality services and yachts which go through constant and high quality maintenance. We invest on providing the best yachting vacations of your life. 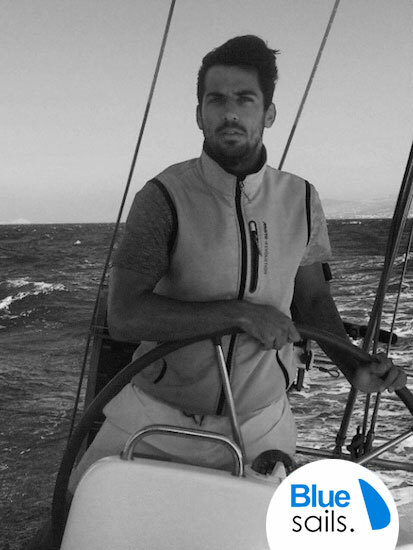 Marinos Krestas is the co-founder and Ceo of Blue Sails since 2015 and has several years of experience in sailing. His studies are related with Business Administration and Tourism. Check out our openings, select your preferred boat, destination and dates and we will handle the rest. 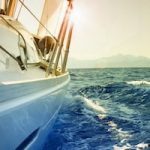 Personalized Yachting Services. Established in 2012 by Marinos Krestas.